‘Politics’ has become a dirty word in Australia. To ‘politicise’ an issue is regarded as obfuscation. Good governments ‘govern’ and make ‘policies’. And good oppositions should work with governments to produce policies not debate endlessly, or so we’re told – usually by sitting governments. While a lot of the ‘politics’ has devolved into oppositional tactics, political debate is essential for democracy. At a minimum political debate should reveal the reasons and justifications for a particular policy. However, false consensus and the use of statistics are increasingly used to depoliticise debate of important issues. A recent example is Indigenous health. Indigenous health is an area where “every opposition wants the government to succeed”. However, perhaps it is this consensus that has resulted in continual failure. 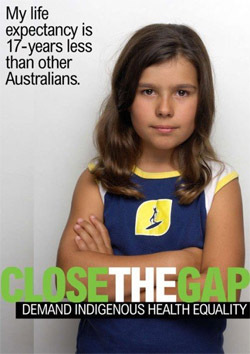 The 7th Closing the Gap report was presented in Parliament earlier this month. Prime Minister Tony Abbott gave a sobering speech, noting that most targets were not on track “despite the concerted effort of successive governments since the first report”. Opposition Leader Bill Shorten, however, called on the Government to reverse the budget cuts to social services that disproportionately affect Indigenous populations and compound existing inequalities. Coalition MPs were unhappy with this suggestion. 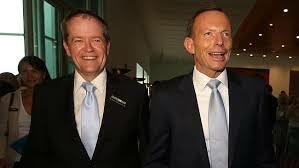 Some walked out and others said Shorten was playing political games on an important occasion. The focus on consensus – that everyone wants to Close the Gap – has reduced Indigenous health and education to a national human interest story. It is bracketed from the realm of politics and serves either to inspire or a cathartic release. Sociologist Pierre Bourdieu writes that “human interest stories create a political vacuum. They depoliticize and reduce what goes on in the world to the level of anecdote and scandal”. In breaking with the ritual bipartisanship, where Opposition and Government solemnly agree that “more should be done but it is all so very difficult”, Bill Shorten re-politicised Indigenous health, if only briefly. While liberal political philosophy values consensus established via publicly justifiable reasons, when consensus is assumed, publicly justifiable reasons become redundant. The presumption of consensus between the two major parties on indigenous health (and anti-terror legislation and asylum seeker policy) lowers the expectation of rigorous political arguments for or against certain positions. Shorten broke with the consensus game and exposed the gap between Abbott’s rhetoric of “concerted efforts” and the first budget he delivered. Budgets are not simply economic documents, but reflect political and moral decisions about the lives that are valued. Not unrelated, last month Treasure Joe Hockey attracted ridicule with his comment in a 3AW interview ‘that somewhere in the world today, it’s highly probable, that a child is being born that is going to live to a 150’. Hockey’s comment received some support from Professor Peter Smith who points to advances in medicine and public health as reasons to expect a continued increase in human life expectancy. our numbers plummet as we approach 100 years of age because all of these interventions [public health, disease treatment, nutrition] make no difference to the reality that we eventually wear out and die. Apart from the odd unverified outlier, only one person has ever been confirmed as living for more than 120 years. Like the assumption of a consensus, Hockey’s use of life expectancy statistics to justify changes to the health system hides the political nature of these decisions. Altering the financing of the health system through strategies such as co-payment schemes may appear reasonable. We are told Australia’s population is ageing and more people need to use the health system. However, what these statistics hide is the disparities of life expectancy in Australia. While a child may be born today to live to 150 120, the latest ‘Closing the Gap‘ report reveals that Indigenous Australians born today can expect to live more than a decade less than non-Indigenous Australians. Vital statistics have been used to govern populations since the 17th century. But it’s important not slide over the word “statistics” too quickly as its literal meaning is hidden through repeated use. Statistics is not simply about numbers but “state craft“. By knowing birth and death rates, and the incidence of disease it is possible to establish probabilities of epidemics, movement of people, and to order the State in a rational manner. Vital statistics also enable the segmentation and division of populations. We see this all the time in professional sports. The explosion of statistics about batting averages, field goal percentage, or a players historical probability of kicking a goal from a certain angle against a certain team all help coaching staff to know who is performing and who is not. Despite appearances, the use of statistics as political tool for governing a population is not neutral. Historian and philosopher Michel Foucault notes the way vital statistics introduce a power over life or biopolitics. The increased knowledge about nutrition, physiology and sexuality in the 19th century lead to the creation of norms from statistical averages that allowed political strategies to regulate human life. Statistical analyses are used in public health to show the distribution of disease and enable interventions in populations. But as Foucault notes, these techniques also allow the identification of lives that are healthy and should be fostered and which lives are not performing and can be neglected. suggest a particular financing models for the health system (e.g. co-payment), yet discount others (e.g. progressive taxation). These are not simply economic decisions, but political and ethical decisions about which lives count. For too long the supposed neutrality of statistics and the assumption of consensus have allowed the political reality of Indigenous health inequalities to be hidden. 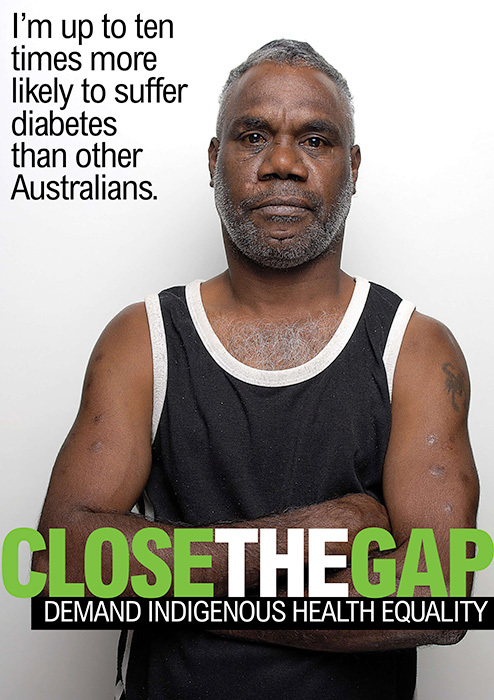 To close the gap we need to recognise the historical and political processes that have made it and maintain it.